The process of selling a car has long been difficult and inconvenient. You not only have to attract buyers, but also negotiate pricing, deal with sales issues, and handle important paperwork. Fortunately, selling your car is getting easier, and if you’re trying to sell a used car there are now more options than ever to do so. Here’s what you need to know about selling your used car and making money in the process. Selling your used car to a dealership is a popular method for getting a car off of your hands quickly. In most cases, a dealership will make an offer the same day you bring your car in, meaning you can leave with payment in hand. Selling a car to a dealership can also be a convenient way to save some money on your next new car, since almost all dealerships take trade-ins. Additionally, when you let a dealership handle the sale of your used car, the entire process is almost effortless. The dealership sets the sale price, handles any necessary maintenance or repairs, and negotiates with buyers. Once you’ve filled out some paperwork, the car is as good as sold and you’ll have cash in hand. The drawback of selling your car to a dealership is you’ll never receive the same amount of money you would by selling it privately. This fact stems from the business needs of the dealership itself. When a dealership accepts a used car, it needs to buy it for a price low enough to still turn a profit when it sells. As a rule, the difference between the trade-in or cash value you’ll be offered and the price the dealership will sell the car for will be in the thousands of dollars. Selling or trading to a dealership may or may not be right for you, depending on your particular circumstances. If you’re trying to get rid of your old car quickly and easily, a dealership is the best outlet for selling it. Selling to a dealership may also be beneficial if you don’t have the money for a down payment on a new car. A traded vehicle can often be used in place of a down payment. If you need to get the maximum amount of money out of your old car, though, it’s better to skip dealership offers. There’s an alternative to dealership sales: sell your car privately on the secondary market. To sell your car privately, you’ll need some paperwork on hand. 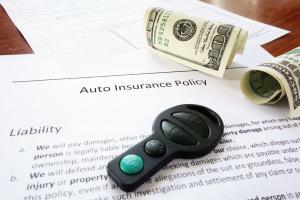 Make sure you have the car’s title, maintenance records, and any relevant warranty documentation. The laws on selling vehicles privately vary from state to state, so also be sure to consult the laws that apply in your jurisdiction to be sure you’re selling the vehicle correctly. Before you sell your car, you also need to determine the sale price. Ideally, you should decide the minimum price you want for it, then list it for a higher amount to give yourself negotiating room. Next, prep your car for interested buyers with a thorough cleaning and detailing and a series of pictures you can post online. Then, it’s time to start attracting buyers. There are several websites you can use to sell your car on your own. Craigslist is one of the most popular, as it can help you reach people in your local area. You can also list your car on CarGurus, a listing site exclusively for vehicles. CarGurus offers free used car ads you can use to put your vehicle in front of a large audience of potential buyers. One particularly useful feature of CarGurus that isn’t present on Craigslist is its Instant Market Value estimate, which can help you see what other vehicles similar to yours are selling for. Though you should always do your research before determining a final price to list your car at, this feature can at least give you a range in which to start. Shift, another California-based site that makes private sales possible, offers a mix between the purely private model of CarGurus and the direct purchases offered by dealerships. 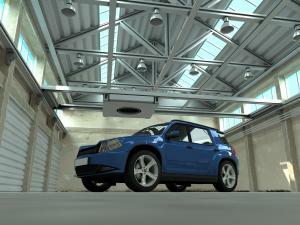 Shift appraises, picks up, and inspects your car, then handles the marketing and selling process for you. When a buyer is found and the sale is closed, you’ll receive a check from Shift, all without having to go through the various steps of the sales process yourself. This model is the most convenient and innovative, as it offers both a larger amount of money than you’d receive from a dealership and a hassle-free process for sellers. 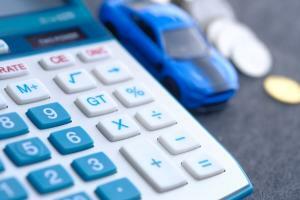 Ultimately, the choice of selling your car to a dealership or to a private buyer comes down to whether you are willing and able to commit the time to getting extra money out of your old vehicle. Your personal needs and preferences in selling your car will determine which of the above methods of selling your car online is right for you. Before you make a decision, be sure to do your own research and carefully consider the pros and cons of the method you choose. Interested in selling your used car? Start a search today.